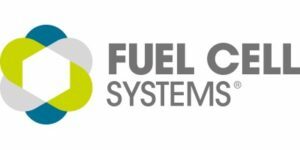 Fuel Cell Systems Ltd are a UK based company, who have been applying fuel cells to real life tasks for 15 years. We will be showing our Rapid Deployment Case, which is particularly useful for the security market. Coupled with an SFC EFOY Pro fuel cell (for which Fuel Cell Systems are the authorised distributor in the UK), it offers an all-in-one, covert power supply, which is easy to deploy, fully portable and can be left to run for long periods without requiring maintenance.Fuel cells are very efficient providers of electrical power. They generate electricity by chemical means, no combustion takes place and convert more of their fuel into electricity and less into heat. They offer a reliable, remote power source which is quiet, has few moving parts and can keep providing power whatever the weather conditions.